The Vancouver Farmers Holiday Market is taking place this Saturday and we are pleased to be teaming up with them again to offer 2 for 1 admission! How do I take advantage of this deal? Attend either the Vancouver Farmers Holiday Market or Got Craft? over at the Pipe Shop in North Vancouver. Get a hand stamp at the front desk. Show your hand stamp at the other event and get in free! 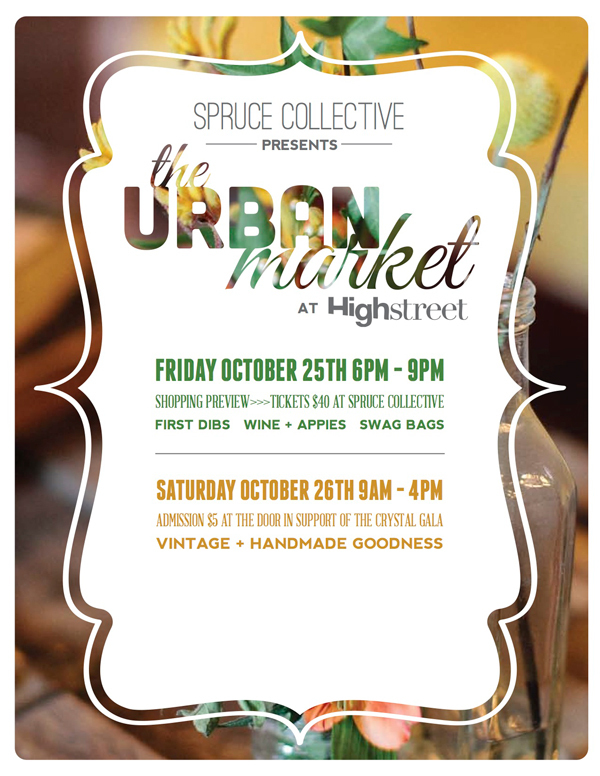 This weekend, you can find us at the Urban Market at Highstreet in Abbotsford (BC) hosted by Spruce Collective. These ladies are super sweet and talented, so you don’t want to miss this one! I’ll be bringing a selection of handmade goods that you will be able to find at London Fields Shoppe including work by Forest and Waves, James Brown, Richard Fairhead, the pauhaus, Mellifera Bees, Pepperjack Home, think & ink studio, The Beautiful Project, Camp & Quarry, and more! I’ll also be sharing my vintage collection for the first time! I’m limited to what would fit in our small vehicle, but I plan to be bringing a fantastic selection of kids related books, tin toys, old stationery, lots of Christmas goods, typewriters galore, kitchen items (including teacups), mason jars, vintage aprons, and other fun stuff! Yep. It’s a double header weekend! Knit City returns to the Croatian Cultural Centre and we will be there all weekend representing Got Craft? with our friends Pip & Pin. If you knit or crochet, this is an event that you don’t want to miss! I’ll be there with my Roxypop handmade goods, so come by and say hello! Vancouver, you blew us away. Thank you for another record breaking year! Thank you to all of our lovely vendors, our volunteers, our sponsors, and for each and every one of the thousands of people that came through our doors. We are working on finalizing our 2013 plans, but until then, make sure to check out our Around Town calendar for more handmade markets before Christmas. In the meantime, we are going to get some rest and will check in soon. got craft? :: things to do! A reminder that Got Craft? is this weekend on Saturday, December 8th and Sunday, December 9th, 2012 from 10-5pm at the Croatian Cultural Centre, 3250 Commercial Drive in Vancouver. Here are our top six things to do at the event! Be one of the first 50 people through the doors on each day to receive a FREE swag bag filled with goodies from Got Craft? vendors and sponsors. Shop from 80 local handmade vendors. Participate in a DIY workshop including an embroidery project, sewing a holly pin, and button making. Got Craft? has all the foodies covered! Holiday shopping for food-lovers has never been easier! Stop by Got Craft? 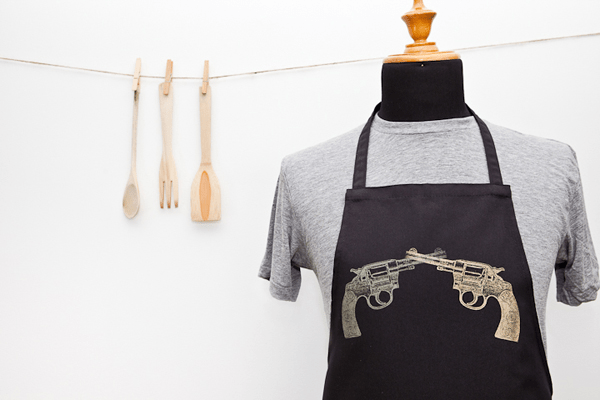 from Saturday, December 8th and Sunday, December 9th, 2012 at the Croatian Cultural Centre from 10-5pm to find these awesome gifts including the Golden Guns Apron above by Robbie Vergara Silkscreens. 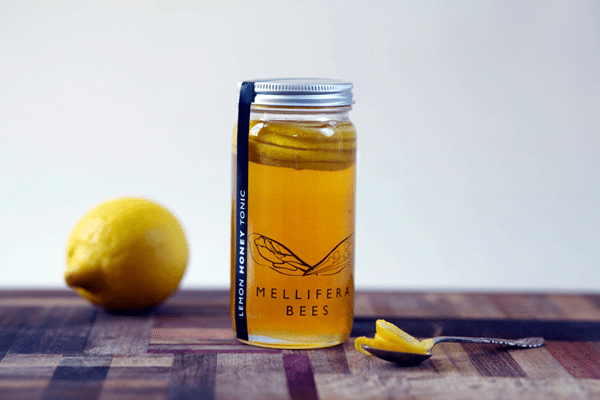 Try Mellifera Bees’ infused honey, harvested from backyards throughout the Lower Mainland. Flavours include cardamom, vanilla bean, or lemon – available in 4oz and 8oz jars. Did you ever want to be a cheesemaker? Here’s your chance! Make Cheese Inc. creates beautifully packaged cheese-making kits so you can make feta, mozzarella, brie, gouda, or whatever your heart desires. Foodie favourites include the Proud Poutine Kit and the Mini Motza Kit. 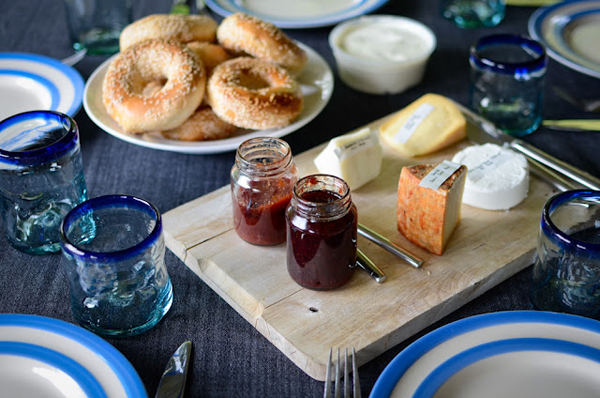 Pick up Sticky Spoon, a Vancouver-based jam company that sources local fruits and vegetables to makes small batches of gourmet jams (250ml jars), like Spiced Autumn Plum, Cranberry-Apple with Citrus, and Persian Peach Jam. Find these vendors and more at Got Craft? on Saturday, December 8th and Sunday, December 9th, 2012 from 10-5pm at the Croatian Cultural Centre. Visit the website here for more details! Categories: gift guides, Got Craft?